These cookies are quite amazing! Maybe I should not be so surprised but I was very pleased at how well they turned out. 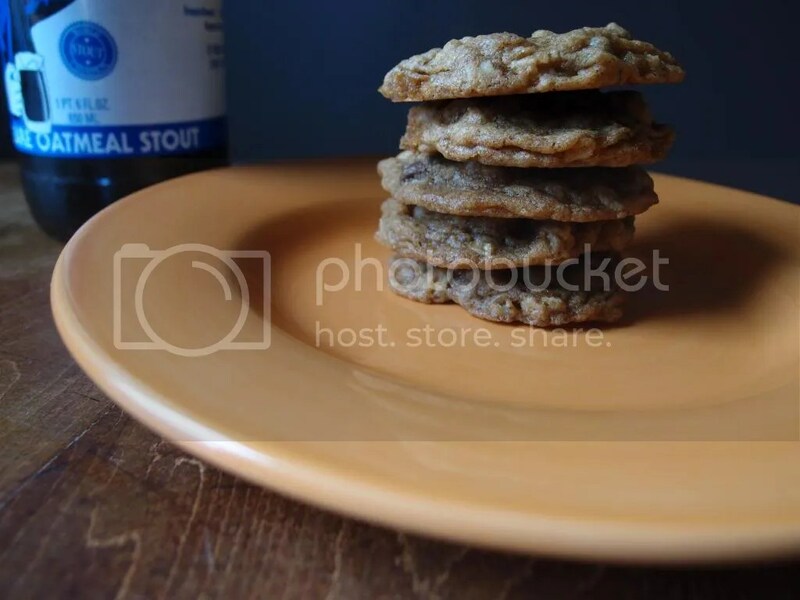 The recipe does not call for reducing the beer but this gives the cookies more flavor from the beer (note: they don’t actually taste like beer). The reduced beer is almost a replacement for the vanilla so it is not necessary to include but can be included. In a large mixing bowl with an electric mixer, cream butter and sugars. Add egg, molasses, beer, and vanilla. In a separate bowl, combine salt, spices, baking soda and powder, oatmeal, and flour. Slowly add dry ingredients to wet ingredients with the mixer on slow. Mix until just combined. Add chocolate chips and walnuts if desired. 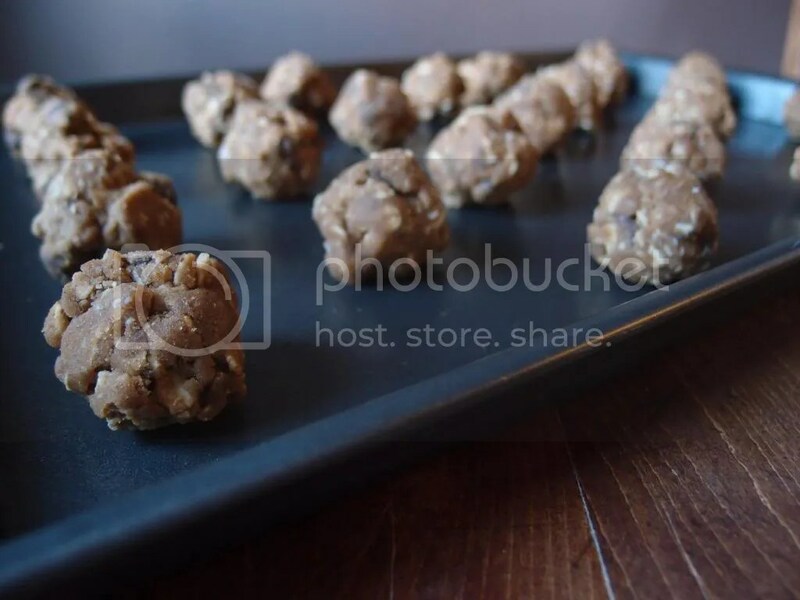 Bake cookies at 350 degrees Fahrenheit for 6-8 minutes (depending on size of cookies). These look great! I wonder how this recipe would do with a chocolate stout. Or you could get kooky and maybe do a chili pepper stout (assuming you could find one), give it a bit of a zing! 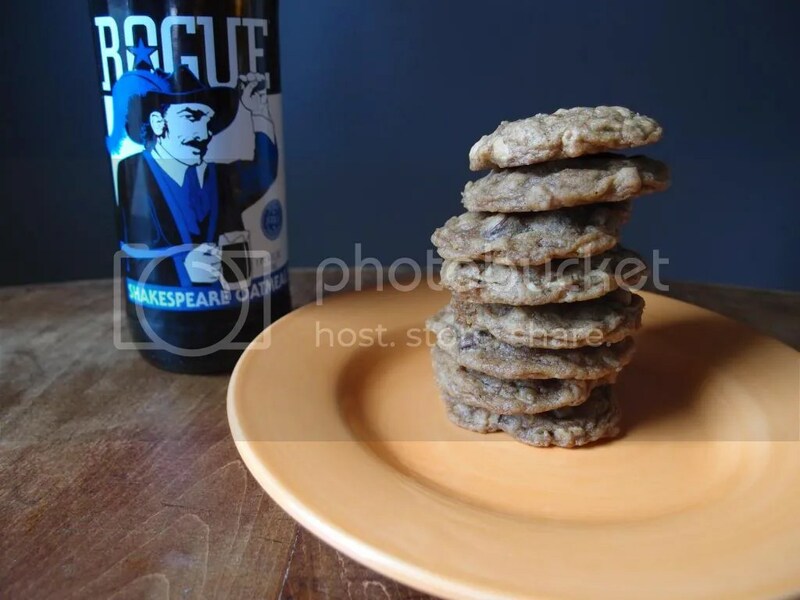 A chocolate stout would be great too- pretty much most stouts would be pretty delicious in these cookies. I don’t think I would like a chili pepper beer in my oatmeal cookies but definitely in a more strictly chocolate cookies or cake. I have made Mexican Chocolate stout cookies that definitely have a little burn on the back end. Yum! Thanks! These look terrific. I like the stout addition to a cookie very much. I think I am inspired to play around a bit with this maybe with a cake. Great post. Yay, I’m glad 🙂 I love putting beer in my cakes! Let me know how it goes! Definitely going to be making these over Thanksgiving! Your post inspired me to bake. Enjoyed the music. Thank you! Good, I’m glad! 🙂 What are you going to bake? Sending you milk and cookies! 🙂 Thanks so much! 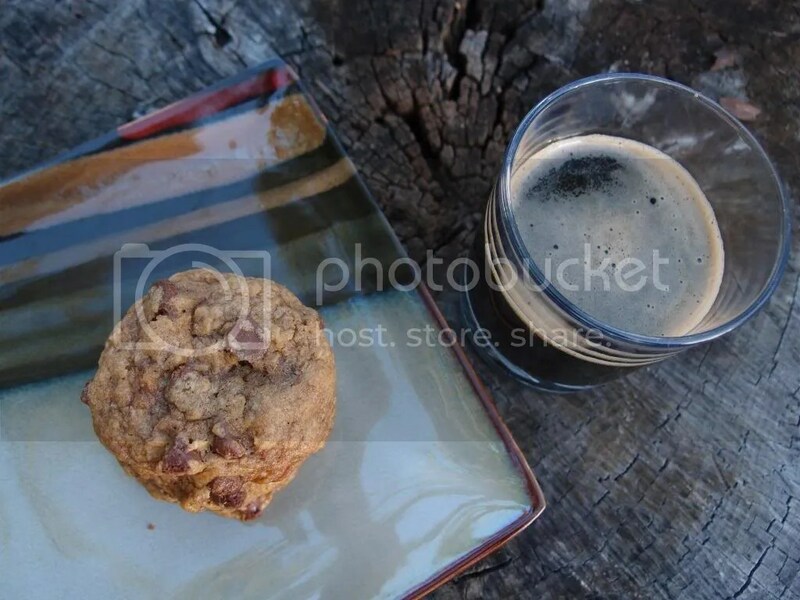 Cookies and Oatmeal Stout – 2 favorites of mine – my mouth is watering – YUM:) Have you ever tried Anderson Valley’s Oatmeal Stout? One of my top Oatmeal Stout favs. Happy Week! Good to know! I love when people suggest their favorites. I will see if I can get my hands on it! Thank you! These look incredible, and are making my stomach growl. I will be making these for sure! 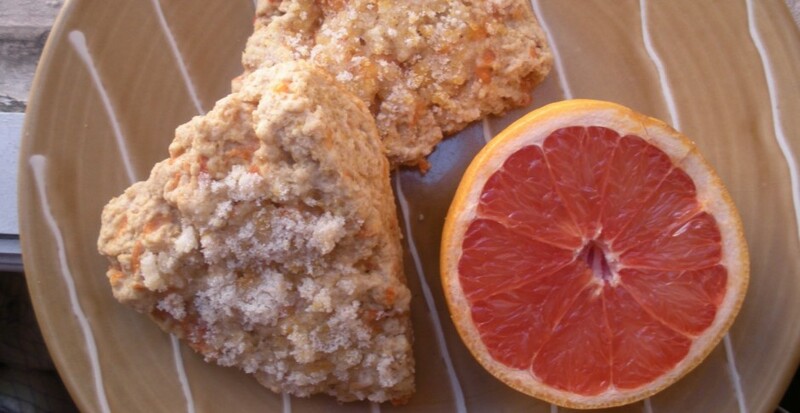 Thank you for sharing the recipe, tips, and gorgeous photos! Aww, I’m so glad! Thanks so much! Enjoy! Ha ha glad you caught that Liz! 😉 others appreciated me making them again as well 🙂 I think cookies are harder to include beer but I have been working on it. I will have another recipe to post soon as well. Enjoy the recipe! LOVE!! 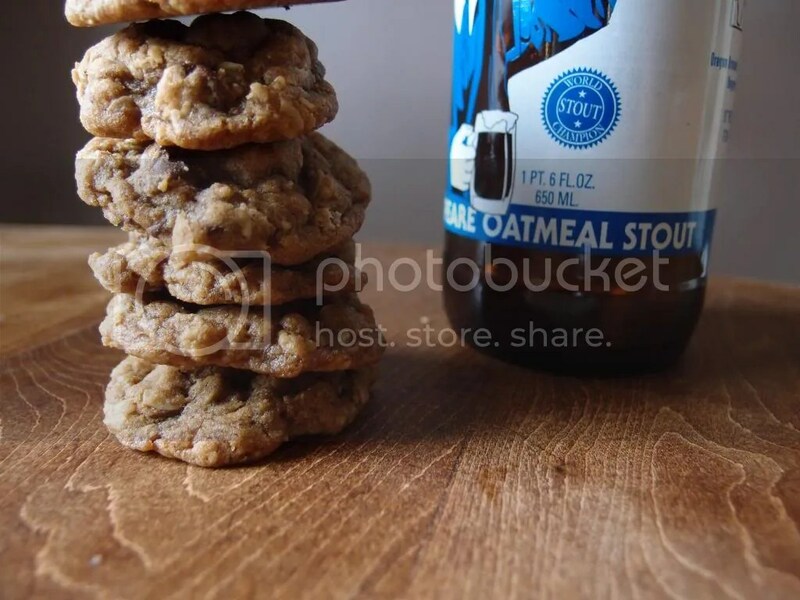 Never used stout in cookies, cakes yes. This sounds just too good!! 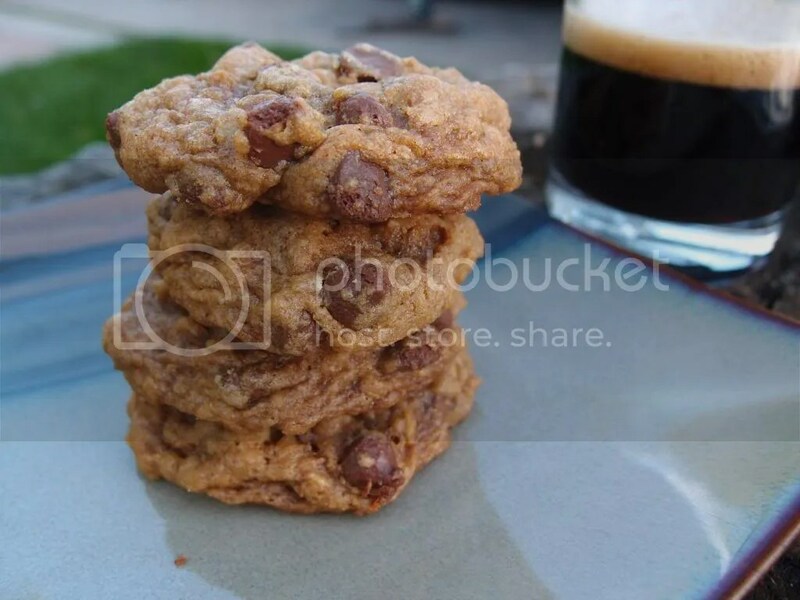 Here’s a great beer cookie recipe for the holidays or any day!